I am still sad about the fatal crash last week in California, where a blazing FedEx truck hit a school bus carrying precious cargo toward a promising future. Earlier this week I read something very disconcerting about numerous FedEx trucks that have caught fire. Apparently it happens all the time. See. Something crossed my mind: I wonder if there were packages on that truck and what would happen next. Did FedEx contact everyone, and in a forlorn, hushed tone say, “Sadly, your package was on a truck that blew up. Unfortunately, it was burned beyond recognition. We are SO SORRY!”? Customer: That package is irreplaceable; it was my cousin’s ashes! FedEx: Uh, ouch. Look on the bright side, at least your cousin’s ashes are strewn over the Northern California highway—it’s a beautiful location. Customer: More beautiful than a panoramic view of the Bay Area? FedEx: Ah, good point. Well, we can’t replace the package because nobody bought insurance. So . . . Customer: My dead cousin gets to live on a friggin’ highway for all of eternity?! What a spectacular finish to a rather dulcet life. 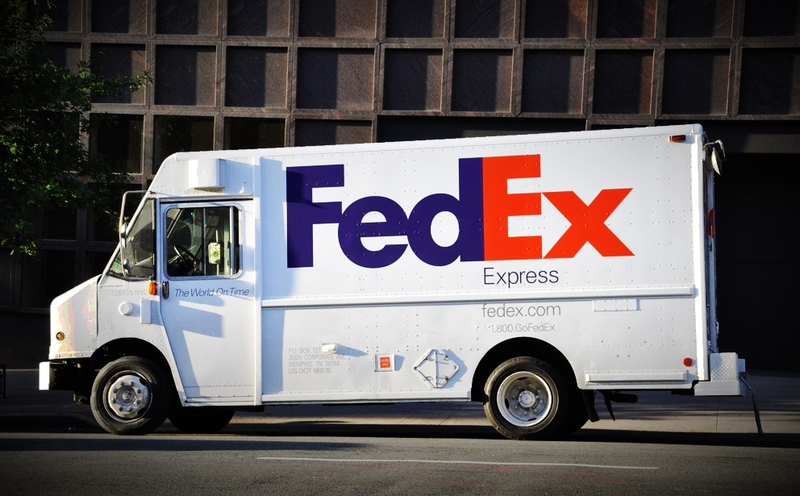 FedEx: Again, I’m really sorry for your double loss, but I hope you’ll use us again. Maybe try shipping air next time. I’m weird, I know. But, wait. A couple of months ago, my dad sent me my grandmother’s cookbooks. If the truck containing them blew up I’d be out for blood, ready to cut the responsible parties. Sure, you can say my priorities are fucked up. Or, can you? There are family recipes that date back 200 hundred plus years, and their demise would be a horrible loss. I guess the moral of the story is never do ground shipping.